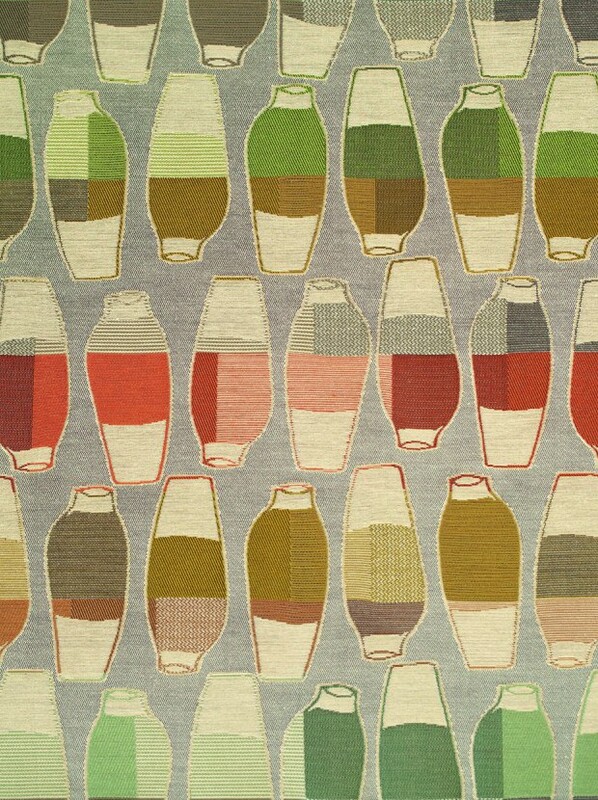 Detail showing a more clearly colour-blocked solution. 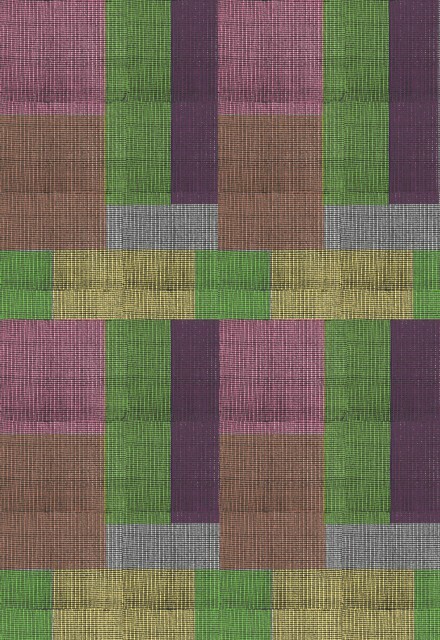 Trouble-shooting: this sample shows an identified flaw (black lines), which needed to be removed from the final textile. 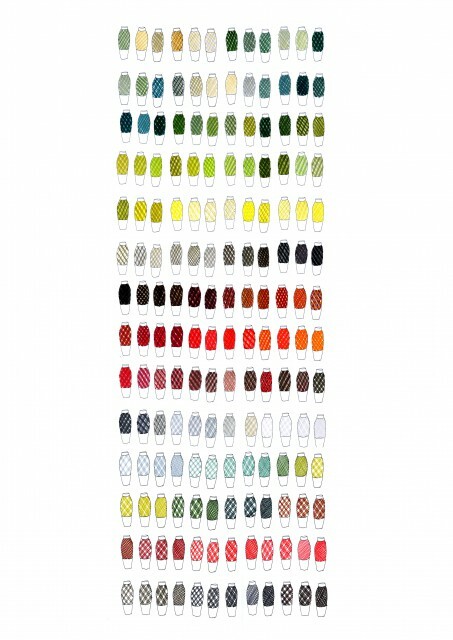 Colour try-out, representing the colour grid pattern used in the textile. 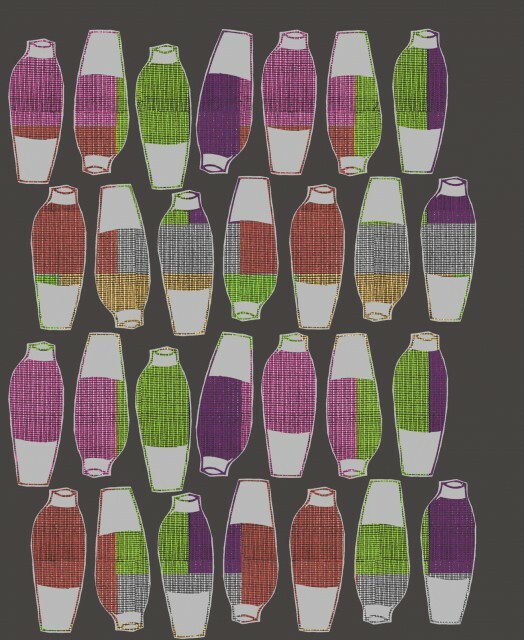 Based on a recurring theme in Jongerius’ work, the use of pottery vases as a vehicle for colour experiments (see Frame 78), Colored Vases makes a graphic pattern out of a 3D design project.